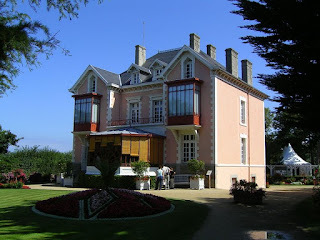 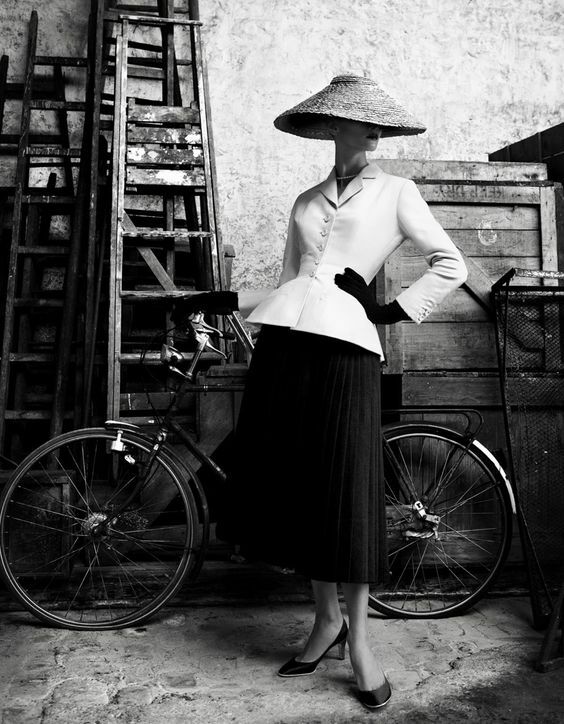 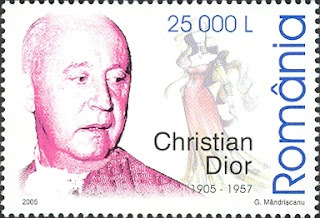 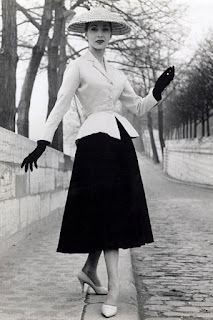 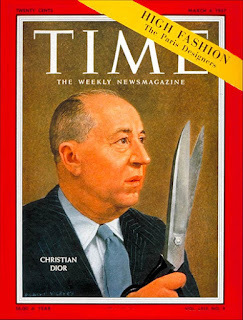 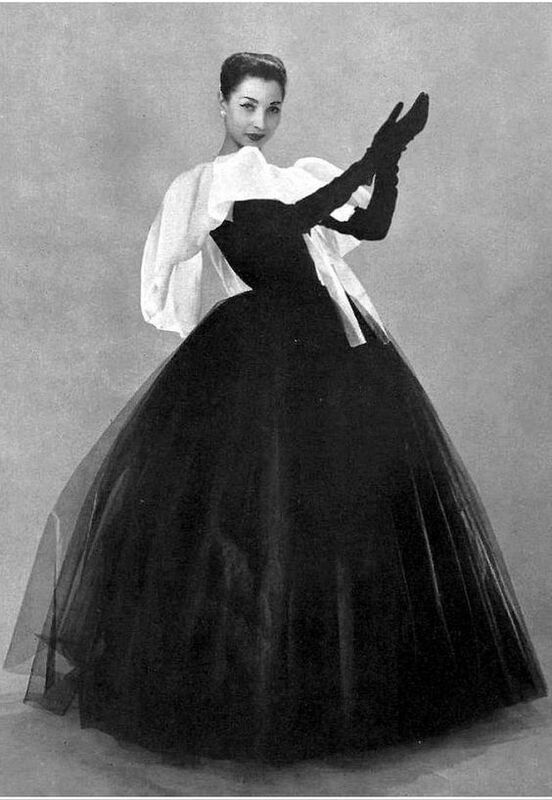 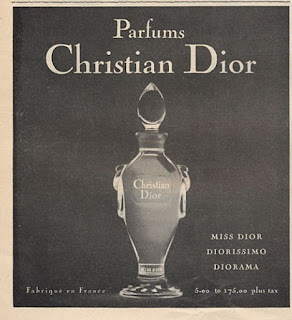 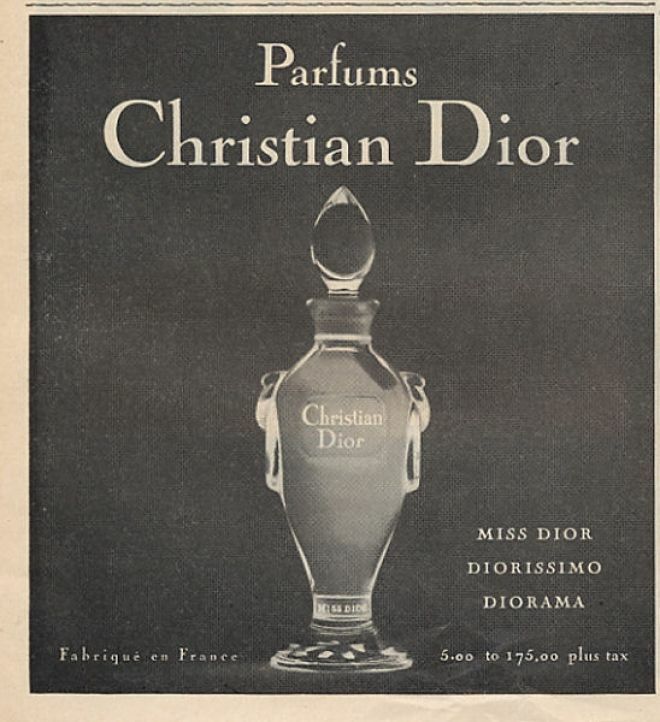 Dior is quoted as saying "I have designed flower women." 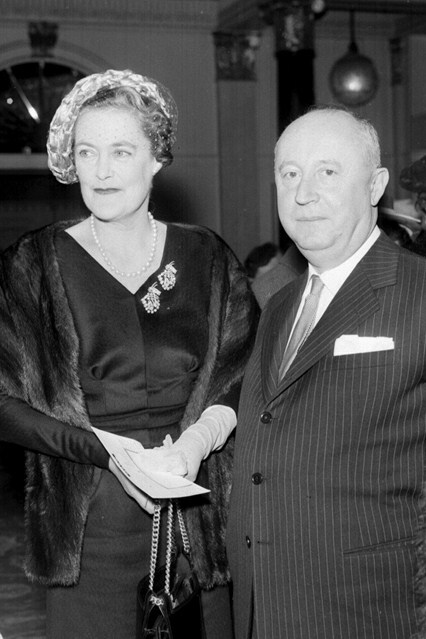 1957 - With the Duchess of Marlborough at a luncheon held at London’s Dorchester Hotel to mark the publication of his autobiography Dior by Dior. 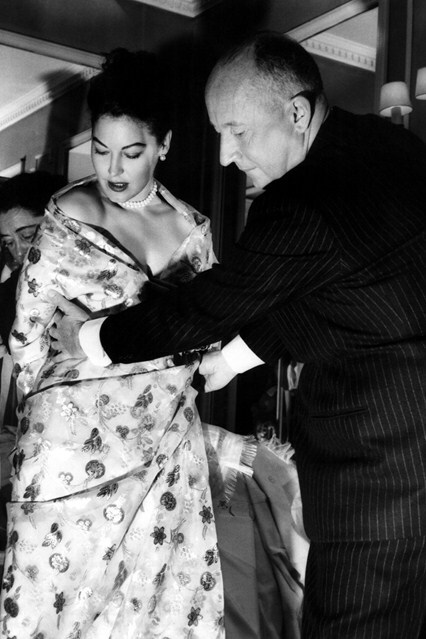 1957 – At a costume fitting with Hollywood actress Ava Gardner for her film The Little Hut. November 1 1947 – In his studio, surrounded by some of his creations. 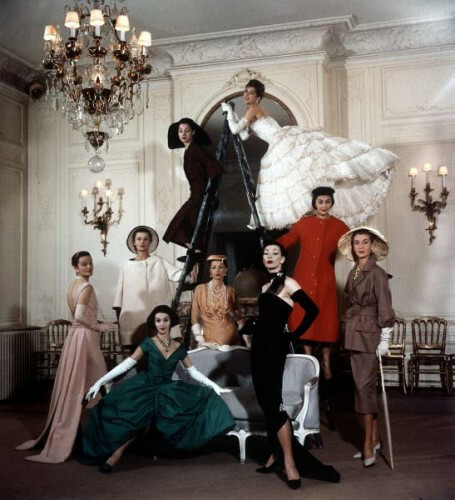 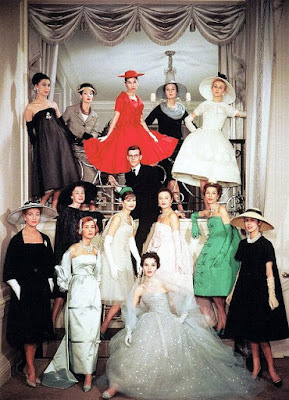 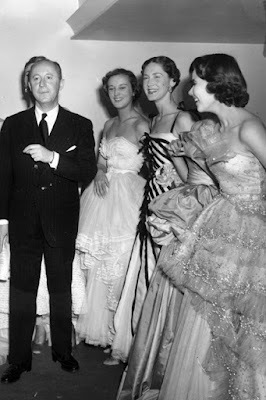 April 25 1950 - Christian Dior with six of his models after a fashion parade at the Savoy Hotel, London. 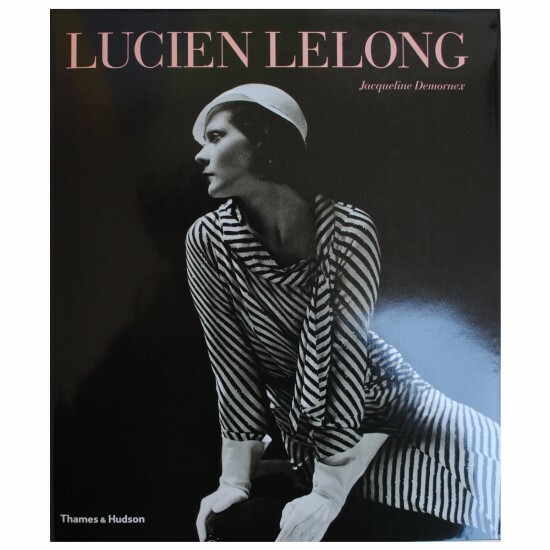 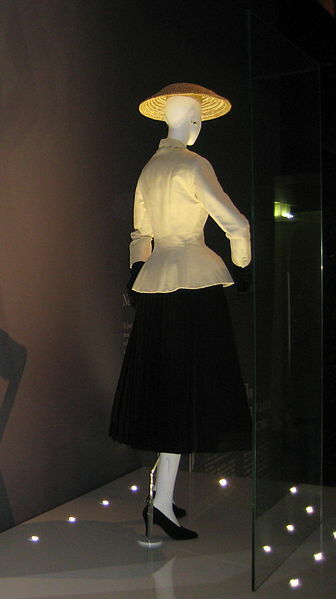 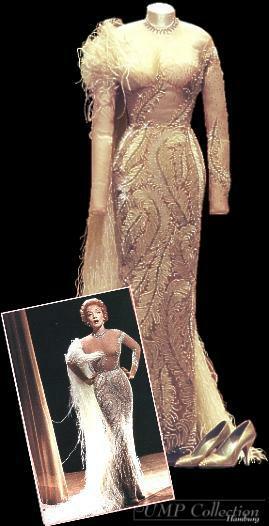 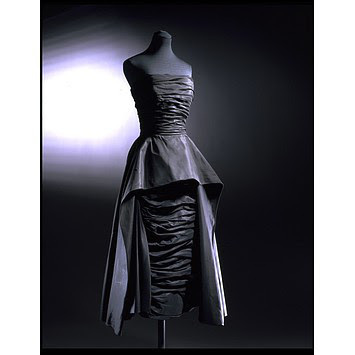 Dior also designed the costumes for Marlene Dietrich in the 1950’s Alfred Hitchcock film Stage Fright. 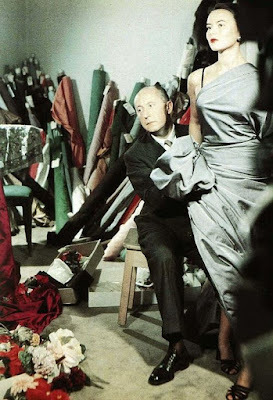 February 1 1957 - Adjusting a dress on a model in his Paris salon as he readied his collection for a show. 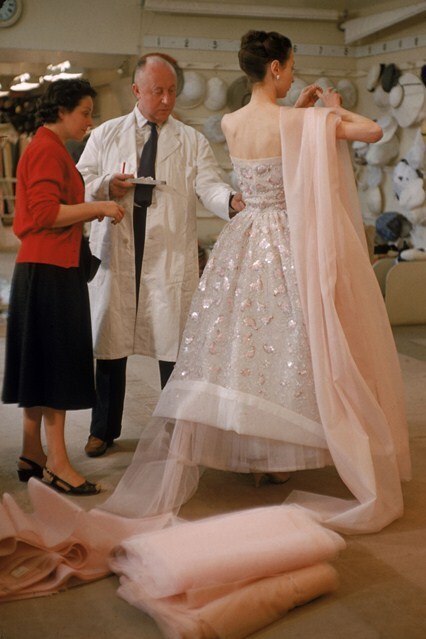 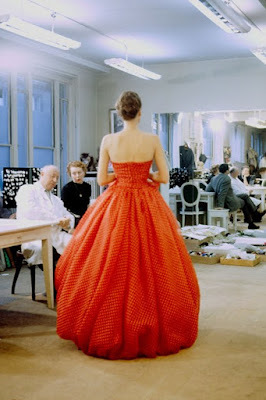 January 1 1957 – Making adjustments to a ball gown in preparation for his next presentation. 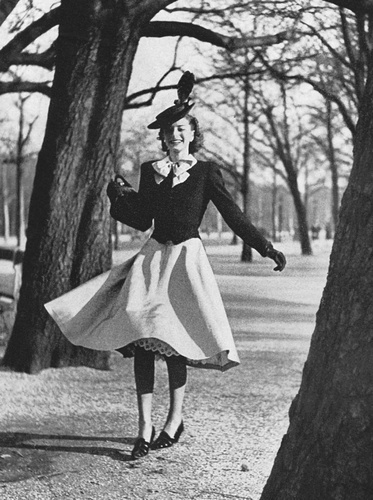 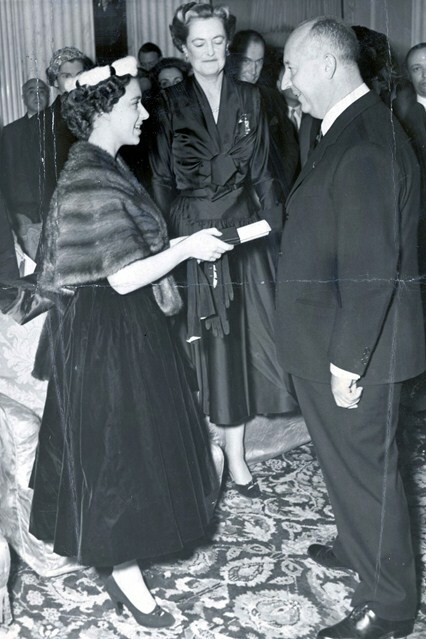 November 3 1954 - Meeting Princess Margaret at the presentation of his winter collection at Blenheim Palace. 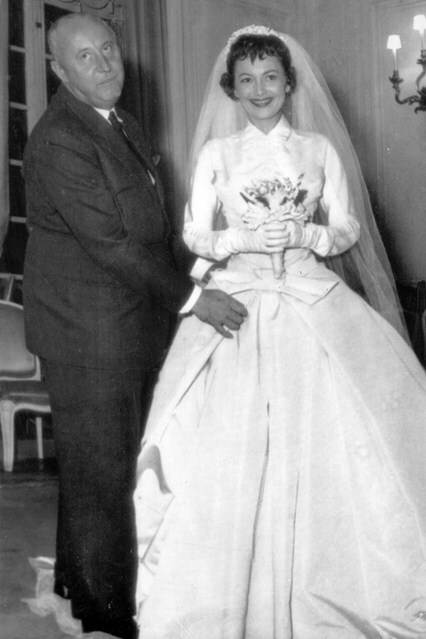 October 21 1955 – On the set of The Ambassador’s Daughter with actress Olivia de Havilland, who wore a Dior-designed wedding dress for her part in the film. 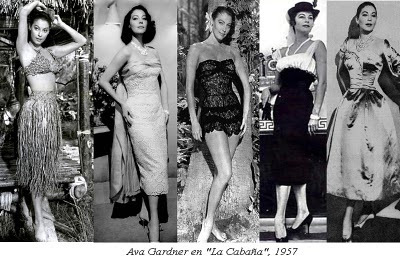 Pictured above are some of Dior’s costume designs for Ava Gardener in the 1957 movie The Little Hut. 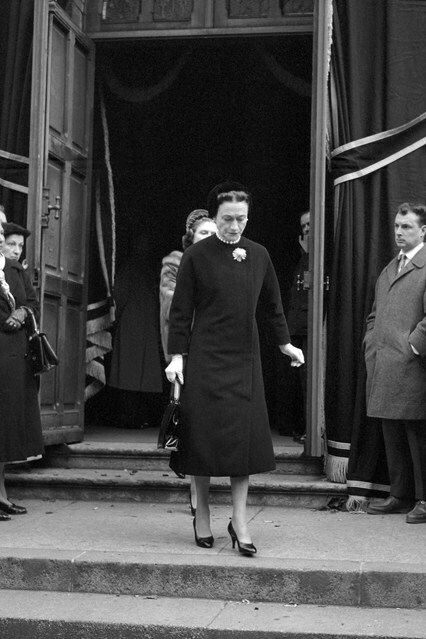 October 29 1957 – Wallis Simpson attending the couturier's funeral. 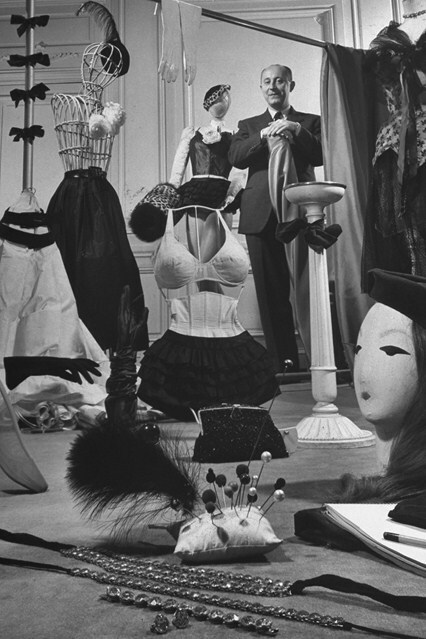 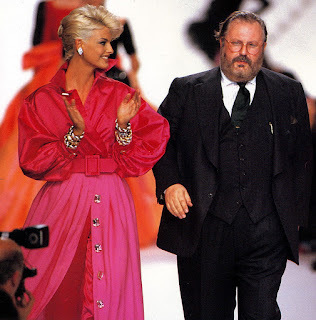 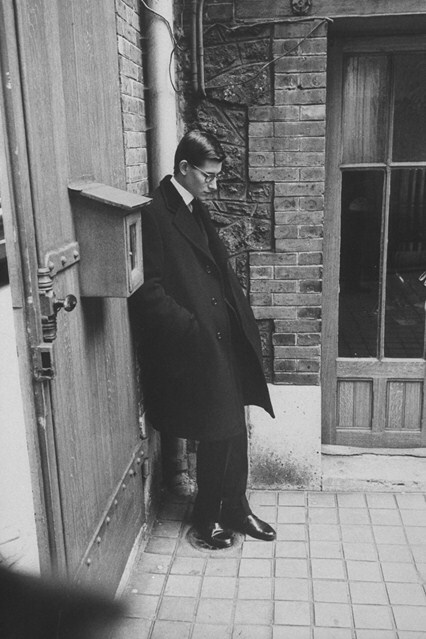 Thats interesting I didnt Know that Saint Laurent worked as a designer for Christian Dior! 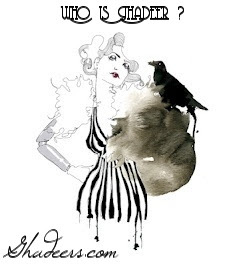 , loved the story.